It was in 2008 that the Last Shadow Puppets released a song, but now they have returned with a new one. The album from the British Group has been long-awaited as it features members of The Rascals, Arctic Monkeys and also Simian Mobile Disco and the song titled ‘Bad Habits’ belongs to it. The Last Shadow Puppets comprises of Miles Kane (The Rascals), Alex Turner (Arctic Monkeys) and James Ford (Simian Mobile Disco). 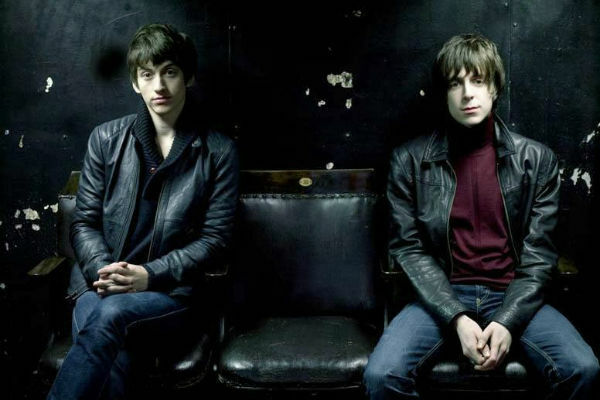 The album titled ‘The Age of Understatement’ had been released by the Last Shadow Puppets in 2008 and had become the number one album in the UK and the number 30 spot in Australia. The album’s single ‘The Age of Understatement’ had also been in the top 10 list in the UK. The last new song that had been released by the musicians in 2008 was called ‘My Mistakes Were Made for You’. Therefore, ‘Bad Habits’ is the first new song they are releasing and it features strings that have been arranged by Owen Pallett. Their upcoming album hasn’t been given a name, but will have a release date of this year.